This is the first of three blog posts where StarbucksMelody takes you on a brief journey into the international Starbucks experience. This episode takes you to Japan. These posts will not be an in-depth analysis rather, we’re just going to put our big-toe into the Starbucks international waters. Starbucks’ most famous Japanese customer is likely Noboru Sakamoto who has visited more than 100 Starbucks stores in Washington State. 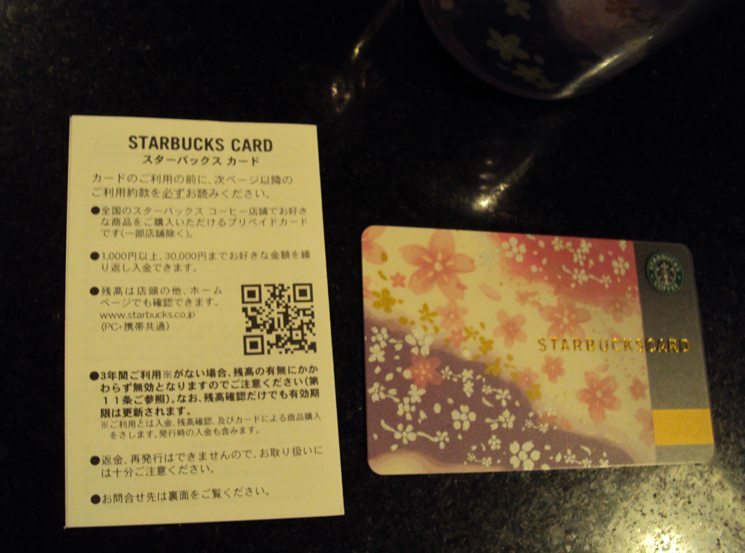 Mr. Sakamoto contacted me, explaining that he enjoys reading this site, and added that in Japan a new Starbucks card has just recently been released. My understanding is that these items are very new to the Japanese stores. I just recently received in the mail the card and tumbler from Japan, and I love it!! They are beautiful designs! 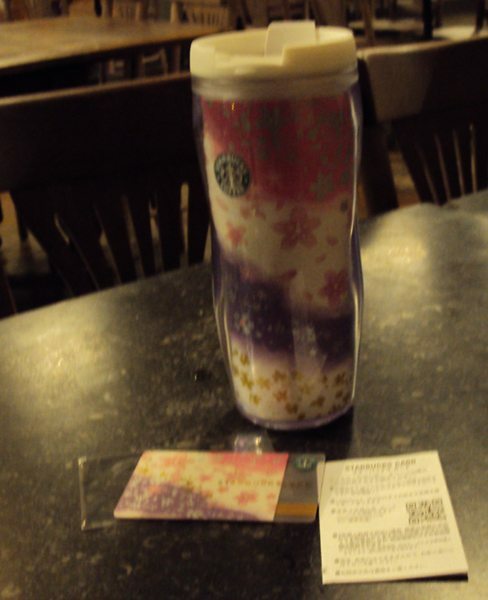 Purple and pink are great colors, and I would have never thought to have a matching card and tumbler. The card and tumbler are featured in the photos to this blog. A little background about Starbucks and Japan: The first Starbucks retail location was opened in the Ginza, the heart of Tokyo, on August 2, 1996. Those who have heard Howard Schultz speak have probably heard the tale of how Starbucks entered the Japanese market. The lore goes that some expensive consulting firm told Starbucks that their business would never succeed in Japan. As Starbucks was told, the no smoking policy within a Starbucks, and the large percentage of to-go business were said to be business killers for Starbucks in Japan. As this tale goes, Howard Schultz disregarded the advice of the expensive consulting firm, and nervously entered Japan in 1996. Of course 14 years later, one can only say that Howard Schultz was right and the naysayers were wrong. Clearly, Starbucks is a hit in Japan. 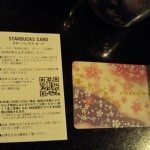 The conclusion of the Starbucks-Japan lore is that at opening day, Howard Schultz watched on opening day in August 1996 as young Japanese men and women lined up to say those magical words, “double tall latte” despite knowing no other English. 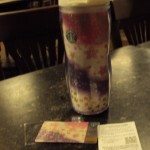 MyStarbucksIdea.com – Vote this idea up: Clear promotion codes. I remember that grand event of Starbucks. “Starbucks Love Project – All You Need Is Love and an internet connection”. Like music, there is not the border in Starbucks. I think so. I’m no good at English. But Starbucks employees are very kind when I visited to store in WA. I like the friendship with them. Also, I like the friendship with the Starbucks fans. i very much enjoyed this post! i heart café & spent about two months writing a [long!!!] paper on Starbucks [its history, performance, etc. ]… though, it was [primarily] u.s.-focused… that said, it’s nice learning something new :]. merci bien… & keep up the good work!!! Starbucks – the universal language! The universal language of connecting over coffee. I love looking at the international card designs…how pretty! They get so creative with the designs and I wish they would come out with more cards here! The Sakura Tumblers are the Nr.1 every year and they sell out quickly. Each year in spring the collection features a different design of the cherry blossoms. I got all three sizes and the cup this year, though I think the one from last year and the one from 2008 were more outstanding. Either way, this year the design is cute in a very simple way and the subtle glitter is one of the charming points. The drinks are matching as well and they are sweet, either as a hot drink or a Frappuccino. They do taste a bit like cherry with milk, where as the powdered topping on the hot drink is salty in contrast. What an inspiring post! It’s great to see Starbucks fans from across the globe connect over coffee. I always love the Starbucks stuff from Japan. This year’s sakura-themed products are gorgeous! And, Melody, the lore of Starbucks entry into Japan is correct. i may have to scour ebay for that cup. it looks super cute! Love the Japan Tumbler! The magic around Starbucks all over the world is fantastic to see! Wow, I want a set! Very pretty! I literally ‘Aww’d at the last part of your post and my girlfriend laughed. I must explain a Japanese card system to you. In Japan, we don’t have card rewards. For example, free wi-Fi, free Refills Coffee, etc…. It will be difficult to unify card payment with other countries because foreign exchange always changes. But rewards should be made same as that. 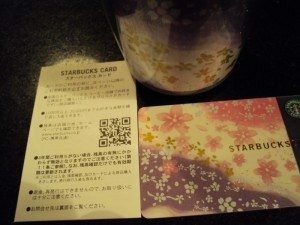 I request that same rewards to Starbucks Japan. Also, we don’t have the Starbucks ice cream in Japan. I want that, I love JAVA chip frappucchino ice cream. Wow i really like the sbux card. I collect them and the only card I have from outside the U.S. is one from Greece. The new Spring Phase 1 has a sbux card with a cherry blossom branch that is really cute too. @Barista Akoni – is that a card for the US that is coming Spring phase 1? I have been starting to collect them too, that sounds pretty. It would be great if Starbucks would feature these international designs on a rotating basis in US and other stores so they could really emphasize what an international community of coffee lovers that they’ve developed. I’ve been a fan of Starbucks for many years. I’ve been living in Japan now for over two years and the closest one is 1.5 hours away. I really miss having one local! Gotta get it while I’m here!